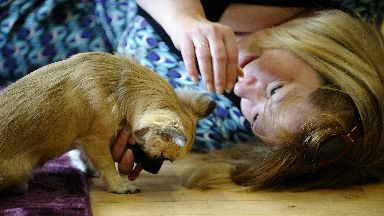 Tanya Salitura's eight chihuahuas will be the stars of Scotland's first canine eatery. Scurrying across the floor, stealing cuddles and kisses, eight tiny chihuahuas have their small audience captivated, an afternoon tea almost forgotten in the background. 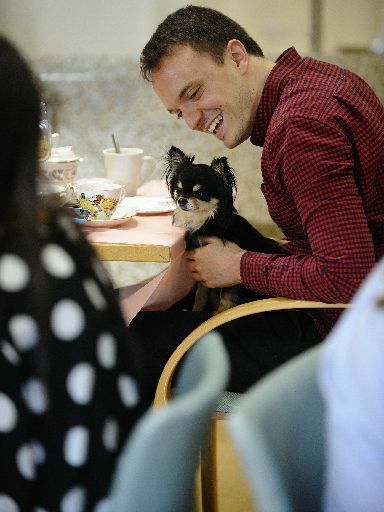 At Edinburgh Chihuahua Cafe's first pop-up puppy cream tea, members of the public are able to meet the fluffy stars of Scotland's first dog cafe, which is due to open later this year. Eldest Ama, a fluffy black and tan dog watches out for her seven sisters including Lady Bee, who can learn tricks at the drop of a hat, "tomboy" Cleopatra, who loves the outdoors, and the slightly ditzy Duchess. Their younger siblings, Elsa, Faery, Gatsby and Hepburn, are just puppies, but watch the older dogs with interest as they interact with the public, play with toys, pose for selfies and slip off for snoozes. The brains behind the dog cafe is Tanya Salitura, who laughs when she recalls her first pop-up event. 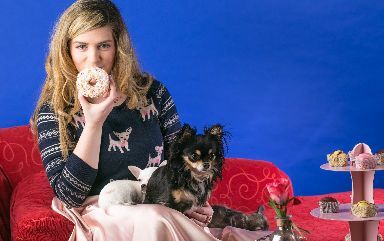 "Everyone swarmed in, sat on the floor, played with the dogs for like 40 minutes of their 50 minute time slot and then went: 'Oh, we have a scone to eat.'" 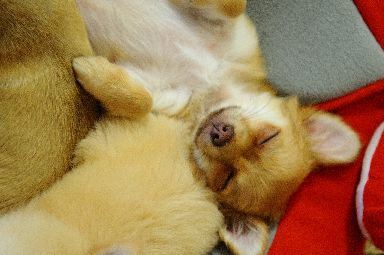 A self-confessed animal lover, Tanya takes care of her eight chihuahuas at home in Fife, the dogs enjoying their own bedroom and ample space to run free. Yet the 27-year-old's brood of tiny dogs only expanded early this year, when she decided to take the risk of launching Scotland's first chihuahua cafe, only the second dedicated dog cafe in the UK. "I've always loved the idea of having my own business, it's been something that's very important to me but I haven't had that big idea that was really new and original and niche before now," Tanya says. "If I don't go for it, then I never will and maybe other people will open dog cafes and I'll regret it forever." Dogs have been a big part of Tanya's life since childhood. 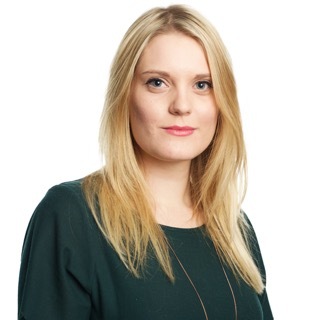 She owned golden retrievers and Jack Russells but when she got her first chihuahua puppy, Ama, four-and-a-half years ago, she realised she had stumbled upon her perfect business idea. Taking the little dog out for walks, she was stunned by the amount of people who wanted to pet her or take pictures. "Seeing how much people really loved engaging with dogs I started to think [a dog cafe] was something that was lacking in the UK," she says. "As a nation we are more dog lovers than cat lovers although there's well over a dozen cat cafes in the UK now. I thought that it was a market with room to explore." In Scotland, there are currently three cat cafes in Edinburgh, Stirling and Aberdeen, with a further two planned to open in Glasgow in the coming months. 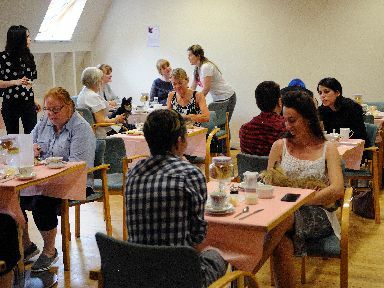 The concept, where the public can pop in and enjoy a cuppa while playing and petting cats, originated in the Far East, where the idea has expanded to include rabbit, hedgehog, owl and lizard cafes. Yet Tanya believes a dog cafe in the heart of Edinburgh would be an ideal alternative for dog lovers who cannot have a pet of their own. "We expect that our customers will be a range of tourists, locals, people coming in on day trips but there is that big market tap in of actually in city centres you often don't have the time or the space to have your own pet," she says. "It's really nice just to go hang out with one for an hour or two without that extra responsibility of having a full-time pet on your hands." As Tanya's dogs are her family pets, she plans to differ from the usual cat cafe model, in which the animals often stay overnight, and instead drive them to and from the cafe each day. She decided to pick chihuahua puppies from various breeders and train them herself rather than adopting older rescue dogs. The breed is quite placid and happy to play or simply snooze, she says. The usual coffee and cakes will be on offer but customers will be asked to place them out of reach so the dogs can't have a sneaky nibble. "We're going to work on a similar concept with time slots as the cat cafes, for the most part, do as well. But we'll be factoring in some doggy breaks in between that," she says. "So rather than just having a back-of-house room, which they will have for their own comfort, we'll be able to go on little walks during the day and get some natural breaks in for them as well." Since many of the dogs are still puppies, Tanya plans to continuing training and socialising them full-time before looking for a premises, but says she hopes to find one in Edinburgh city centre by the end of the year. Until then, she plans on hosting puppy cream teas in Edinburgh fortnightly, where members of the public can join in the fun and help socialise the new recruits so they're happy and healthy when the cafe opens. "People are getting quite excited about the idea, so we're trialling puppy cream teas to make sure we're doing everything in the right way. "If there's anything we need to tweak then we can do that ahead of full-on opening. We had our first one last weekend and it was a huge success. "Everybody enjoyed themselves and all of the pups were quite happy to be cuddled and sat on people's laps."